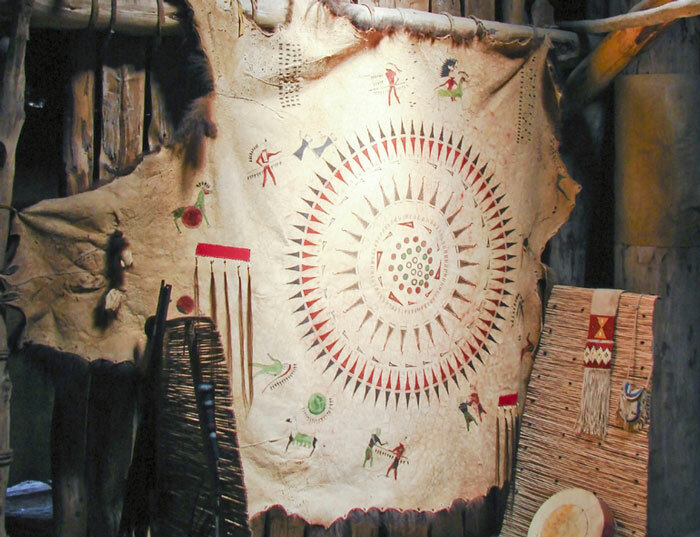 Have students try these activities to expand their knowledge and interest in Native America. For centuries, Native Americans painted on objects that they used. These included everything from tanned hides and ceramic vessels to tepees and the walls of ceremonial rooms. The timeline in History Since 1492 shows some important events in Native American/newcomer relations. Create a large timeline on the board and have students add the dates of the events in the timeline in the issue. Next, have students find the years of other important events in America and the world, such as the American Revolution, the Lewis & Clark expedition, the Civil War, the gold rush, and the year each state joined the United States. Students should add these events to the class timeline. Ask questions that require students to use the timeline, such as “Was the ‘Trail of Tears’ before or after Oklahoma became a state?” You may also wish to have each student do research and write a short report giving more details about an event pictured in the timeline. During World War II, the codetalkers enabled military units to communicate important information to one another without the enemy’s knowledge. After reading, have students work in groups and come up with their own secret code. For example, a simple code is to use numbers in chronological order for letters of the alphabet—i.e., a=1, b=2, c=3, and so on. Each group should write a sentence using their code and challenge the other groups to figure it out. Gather books and resources with Native American legends, such as the legend about strawberries in Spiritual Beliefs. Have students read a few legends and discuss some of the features of the legends. Have students work in small groups to come up with their own legend. The legend should tell a very short story about why something—tree, fruit, food, flower, and so on—has a significance that the students assign it; for example, strawberries as a reminder to be kind. Encourage students to draw a picture to go with the legend. They may wish to look at the illustration in An Iroquois Creation Myth for inspiration. Native Americans found a use for every part of the buffalo they killed. Have students take a natural object (a pine cone or sand, for example) and think of as many uses as they can for it. Have students work in groups to research and report on Native American tribes local to their area—both historically and in the present. Your library may have a copy of The Native American Almanac, which lists by state tribes and their addresses. Each group might take a different topic discussed in this unit (historical overview, famous people, powwows, religion, art, and games), research information about local Indians on that topic, and design a two-page magazine spread (with pictures and captions) to show their findings.